A.N.Boukather Makes Opel Part Of Its "Enjoy Moving Forward" Vision! A.N.Boukather was founded in 1927 by Nicolas Boukather who was a pioneer car importer in the Middle East. A.N.Boukather is proudly living its vision to Enjoy Moving Forward, with no boundaries. With its thrive to achieve more and to grow bigger with all its stakeholders, A.N.Boukather will be responsible for importing, selling and servicing Opel vehicles in Lebanon as of March 2018. An exclusive showroom displaying the Opel cars will be opened in July 2018 in Beirut with further representation around the country to follow. Opel new strategy is to increase sales significantly in markets outside of doubling overseas sales by 2020. It is definitely a good growth potential for A.N.Boukather. An adapted growth strategy is underway to follow Opel’s long term strategy so that A.N.Boukather can enhance the brand’s presence again in the Lebanese market. In fact, according to A.N.Boukather’s Chief Executive Officer, Anthony Boukather, the new Opel strategy will be followed by a strong marketing plan in Lebanon to gain more Opel market shares and to spread Opel as a global brand with a promising future. 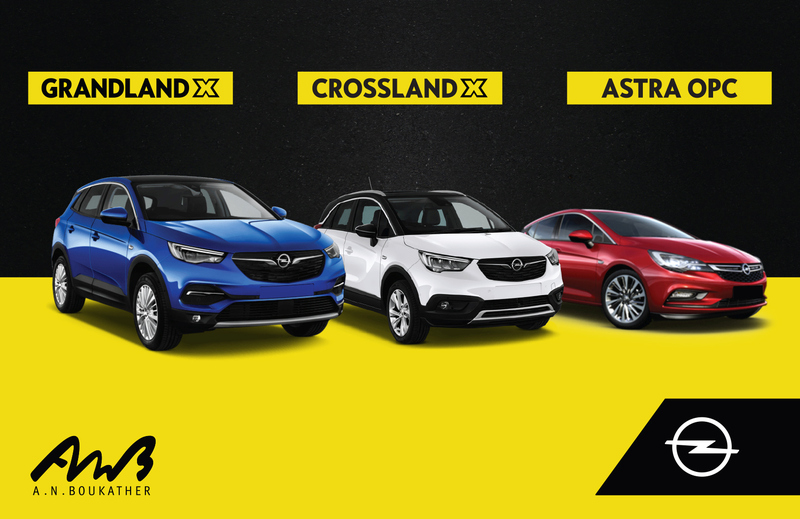 Opel bouquets of products that will be offered in Lebanon are Astra Sedan and Astra Hatchback with a new exciting addition of SUV by Opel in Lebanon: Crossland X and Grandland X. The year 2017 was a record year for A.N.Boukather in the Lebanese market with record sales for both Mazda and the Motorcycles business, providing Excellency in customer service and being the pioneer in the automotive industry in terms of experiences, digital strategy and marketing.